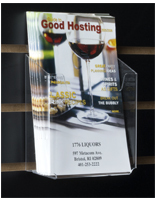 Slatwall Acrylic Display Accessory- This pocket is perfect to hold all your magazines and any of your other 8.5" wide literature. 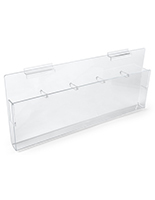 This product's dimensions are 8.625"w x 8"h x 2"d. It is made from clear acrylic so you are able to see the whole front of your magazine or literature. 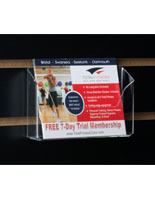 It can be easily attached to any of our slatwall panels. 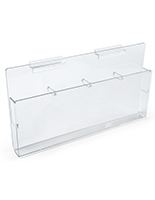 There is no need to have any additonal mounting materials, you simply just hook the pocket into the panel. It may be useful to use this product in addition to our other related products, to have a greater impact. These related products can be seen below. 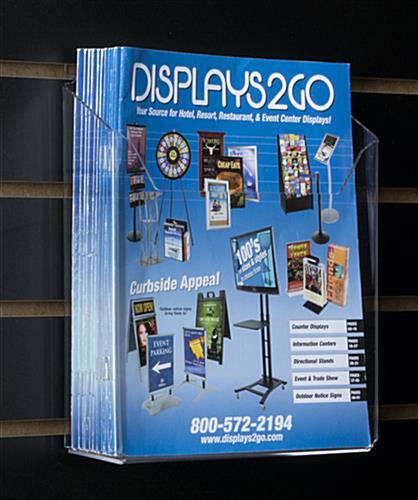 8.6" x 8.0" x 20.0"
We currently have a magazine/brochure display, slatwall style in our waiting room. 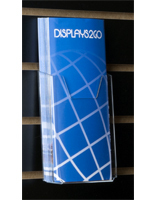 We think the display is 15 years old and most of the acrylic pockets were cracked and/or breaking. 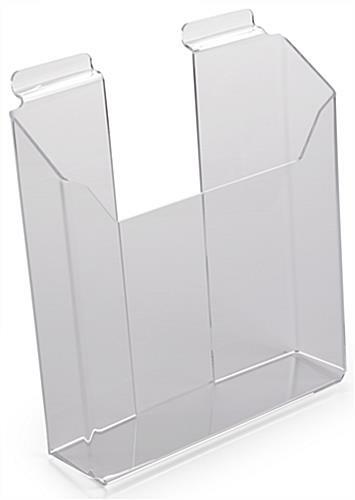 Our search for replacements for the pockets brought us to the Displays2go website and these acrylic pockets. 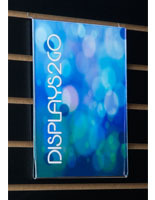 The description said they would fit 'most slatwall displays' so we initially purchased 1 to make sure. It arrived the next afternoon! The pocket worked beautifully so I ordered 8 more, which also arrived next day. 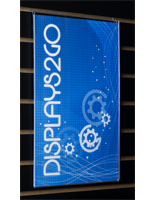 Great product, reasonable price, great service. Glad to be of help Rebecca, thanks for your business! 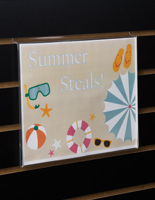 This literature pocket is a perfect fit to display our library books on our slatwall display! Thank you! 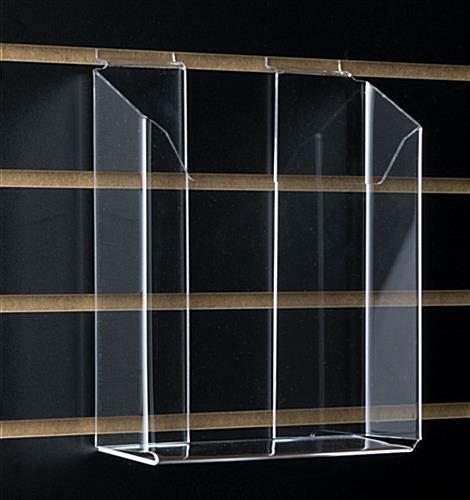 I have been trying to find these display boxes for a long time, I just happened to google plastic wall boxes and displays2go popped up and I found exactly what I needed.